Free drink bottle with every book. 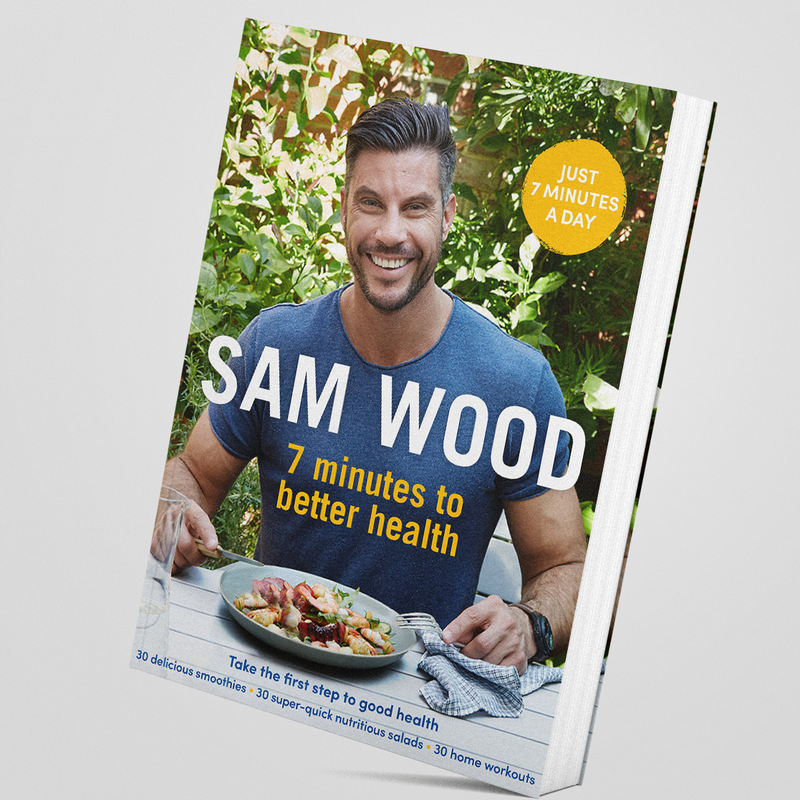 In 7 minutes to better health Sam Wood shows how easy it is. With 30 tempting smoothies, and 30 easy-to-make salads, eating well has never been simpler. These are quick, healthy recipes that save time, meet your nutritional needs, and make you feel fuller for longer. Alongside satisfying recipes for every time of day, 7 minutes to better health includes 30 of Sam’s 7-minute home workouts with 100 exercises that will get you off the couch and feeling great.